A simple deck of playing cards is a lot more than just a collection of numbers and symbols. 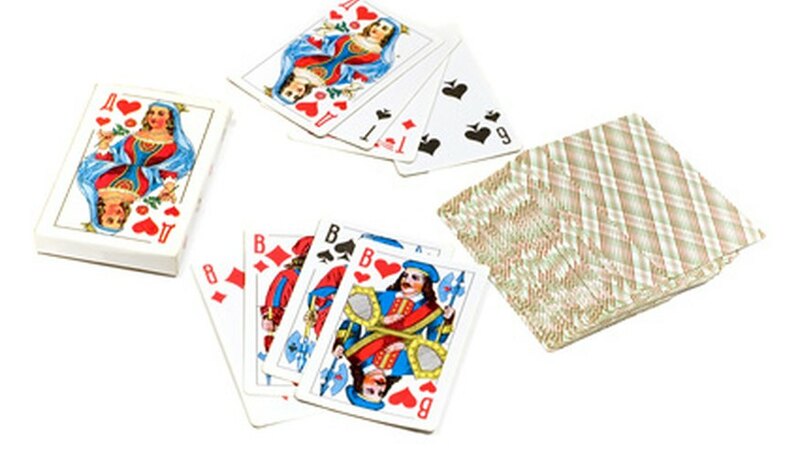 The 52-card deck is used for a long list of games that have been played for centuries all over the globe. From basements to casinos, the sound of a shuffled deck of cards can be heard as players are dealt to and try to win in a variety of games. Each player is dealt two cards and the dealer is dealt one card face down and one face up. The goal of the game is to get the highest hand without going over 21 points. Each card is worth its face value; face cards are worth 10 points. Aces can be used as 1 point or 11. The best hand is an ace with a face card to get 21. In the game, players only play against the dealer. Each player is dealt five cards and attempts to make the best five-card hand with two of a kind, three of kind, a full house, flush, etc. After the initial deal and round of betting, players discard up to three cards, four if they hold an ace. Players then replace the discarded cards with new cards and another round of betting occurs. The player with the highest hand wins. Each player is dealt two cards face down. Bets are made and three community cards are dealt face up in the center of the table. Another round of betting and a single "Turn" card is dealt on the table. After another round of betting, the "River" card is dealt and final bets occur. The player with the best five-card hand is declared the winner. Omaha is a lot like Texas Hold 'Em, except players are dealt four cards each. When forming a five-card hand, a player must use only two cards in their hand and three cards from the five community cards. Hands are often more complicated in Omaha than in Texas Hold 'Em. The main goal in cribbage is to peg around the wooden board faster than your opponent. There are multiple ways to do this. On the deal, each player is dealt six cards. Four cards are kept and two are discarded to the "crib." The crib alternates players after each hand. Players receive points for matching pairs, straights and when multiple cards add up to the number 15. Cribbage.org features fully detailed cribbage rules including live play and scoring. Primarily a children's game, Go Fish is easily played with a deck of playing cards. Each player is dealt seven cards. Going in a clockwise direction, a player chooses another player and asks him if he has a card featured in their hand. If he does, the player gets that card and sets the pair aside. If he does not, the player must "Go Fish" by picking up another card. The player with the most pairs at the end of the game is declared the winner.